Get Your Music Placed In TV Shows. 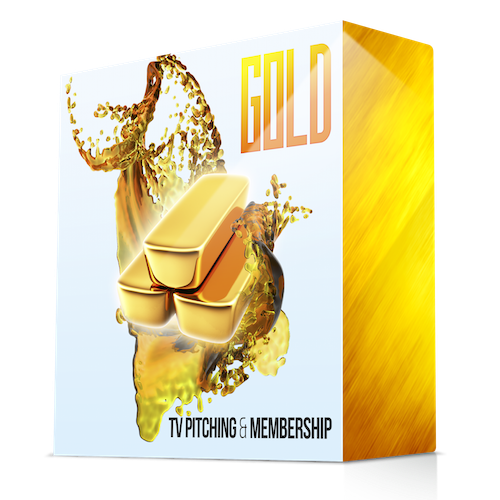 Gold Pitching and Membership – with Gold, you get access to our on-going TV placement opportunites on networks like MTV, VH1, HBO, Bravo & more + double the amount of royalties + special perks. We will facilitate and secure TV Placements on your behalf. Submission Queue Priority – faster submission review times, and your material gets submitted before bronze memebers. Be sure to have passed our audition process. Click here if you haven't! At “Music For TV” we place instrumental music cues in popular TV shows. These placements will earn you significant royalties in perpetuity! (This means forever!) Our Gold TV plan is by far our best deal and highly recommended for producers who are confident in their production quality and skill. With Gold, you get double the amount of royalties and enjoy special perks. 6. Current Opportunities – What we need right now. You get 80% of any upfront fees paid for our Movie and Advertisements email requests + no exchange of rights or ownership. Submission Queue Priority – faster submission review times, and your material gets submitted before bronze members. You (the songwriter) gets 0% of publishing – 100% of the publishing share’s goes to our publisher. NOTE: Once your material is in with our publishers, your material can generate you unlimited TV placements $$$$ without our services forever. Your material needs to first get inside these hard to find TV music catalogs. We can get you inside them. We can help you get placements the moment we start working together. Create + Submit your music for ONLY $1.66 a day to have MusicforTV.net actively secure TV placements on major networks and TV shows with your cues. Not only do we open the gates and get your music placed, WE ACTUALLY WORK WITH YOU! Unlike other services we work directly with you to make sure you are submitting material that has the highest probability to get placed. Coaching + Connections = TV Placements. Copyright 2019 © MusicForTV.net - All trademarks and trade names are the property of their respective owners.